I posted last week that I am learning film photography. I am so excited about this you guys! Right before Kali and Jon’s family session, I bought a Nikon F100 SLR 35mm film camera. I have ALWAYS loved the look of film and decided it was something I wanted to look into trying. 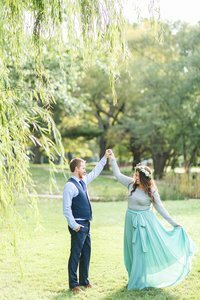 After purchasing the camera, and some film, I decided to try it out during Kali and Jon’s family session at John’s Greenhouse in Kansas City. I used Kodak Portra 160 for these photos, and received the scans from theFINDlab and I’m pretty okay with how they turned out. It was my first roll of film, and I didn’t use an external meter for them. When I realized I had to learn more about what I was doing I signed up for a class taught by Julie Paisley, as I mentioned in my last post. That class has been amazing! So, I also sent off my second roll of film as part of that class. It went a little better, but I know I still have a lot to learn.